What Does Kenya Really Need? We’ve been asking for a new constitution for a very long time & God knows we need it. The current constitution carries in it all that’s wrong with Kenya: a very ineffective judiciary, subject to the whims of the politically correct; a f*&^%d up toothless electoral system; an imperial presidency; very poor, or even non-existent accountability tools… I could go on forever! Something that seems to be very vocal in the proposed draft is the governance structure, with parties split between what system of government to use, how to devolve power… The proposed draft seems to suggest & indeed many Kenyans have been led to believe that the current system & structures is wrecked beyond repair, that it can only be overhauled not salvaged. I seem to differ. Our current system/constitution, however messed up, would better serve the people of Kenya if repaired, than a totally new system that would cost billions & take a lot of time & man power to effect / adopt. FIRST of all, these are too many levels of government. Three levels! Why do we need all those with the meager resources we have? Countries like the U.S.A. & Canada need all those levels because of their sizes, a country like India is huge, it’s a freaking sub-continent for crying out loud! Plus those countries have enough resources to run those levels. 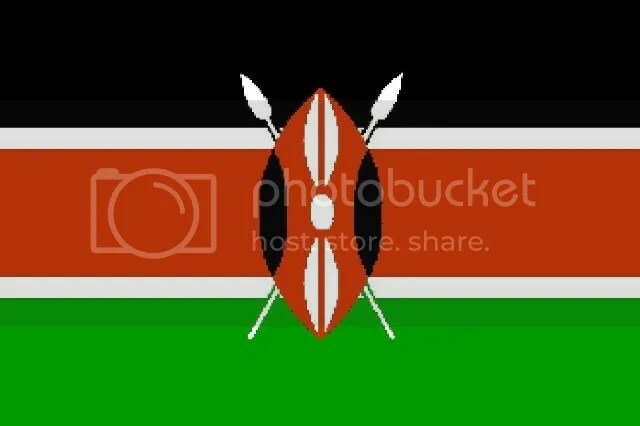 Say what you may but it’s a fact that Kenya is a highly tribal country, where jobs and resources go to members of the elite’s communities, be it in the private or public sector. These regions are supposed to be, to a large extent, self governing, i.e. they have their own revenue collection & tax regimes, their own budgets, development mechanisms & policies etc. This will mean that the civil service recruitment will be done at the regional level by a body most likely answerable to the Governor. Now that is a politician with administrative powers. Every Kenyan politician’s aim is retaining power, you can’t deny that. We have the greediest politicians in the world! What do you think will be the governor’s main agenda during recruitment? To please his electorate… That means, the governor will find it more politically rewarding to employ only members of his electorate & in many cases from the community with the most votes, most likely from his/her own community! The same would apply even for licensing of businesses & so forth, a political administrator would only prefer to license businesses from his own community to create monopoly. Now, isn’t that further tribally polarizing the nation? That would throw us back a few thousand steps in our quest for national cohesion, since people would find it hard to survive outside their home regions. Also, in regions with minority communities, only the major communities will be able to vote in their people leaving the minorities disgruntled and alienated. Here’s what I think: We should take what’s ailing our current system and structures & remedy it. We should take the judiciary, make it independent (probably under a commission appointed & vetted by parliament). The judiciary should be left in control of its own budget, all the revenue they collect from fines, bonds & penalties remain within the judiciary & not be surrendered to the national treasury (Of course, the treasury should continue disbursing money to the judiciary each financial year). This will aid in judicial independence, efficiency… The courts should now start operating 24/7. The law operates 24/7, people are arrested in the middle of the night. The courts should be adjusted so that there are night & day staff, so that you are arrested, you are taken to the station, processed & immediately taken to court. It’s then that the judge will decide if you go to remand, pay bond or you’re fined & you’re on your way. That way no one ever has to go into remand except as per a judge’s instruction, the no one has to bribe the cops so that they’re not remanded! The electoral system should also be fixed, more stringent electoral laws be drafted & hand in hand with an independent judiciary, that will be one problem solved. Parliament should also be given free reigns in running its own calendar, vetting of public officers & commissions… The electorate should be given more reigns in holding their parliamentarians accountable by being able to call back non-performing M.P.s! Ministers should be civil servants & not politicians, should be experienced & well-learned professionals in the fields their ministries cover, should be appointed by the President, vetted & mandated by parliament. Parliament should the have parliamentary committees concerned with each ministry, also headed by professionals in the fields those ministries cover. To bring services to the people, ministries & organs concerned with issues like taxation, registration, licensing, passports etc whose services are only found in Nairobi should open up regional branches all around the country well equipped to handle those processes. FEEL FREE TO SCHOOL ME! Pingback: Global Voices Online » Kenya: What does Kenya really need?